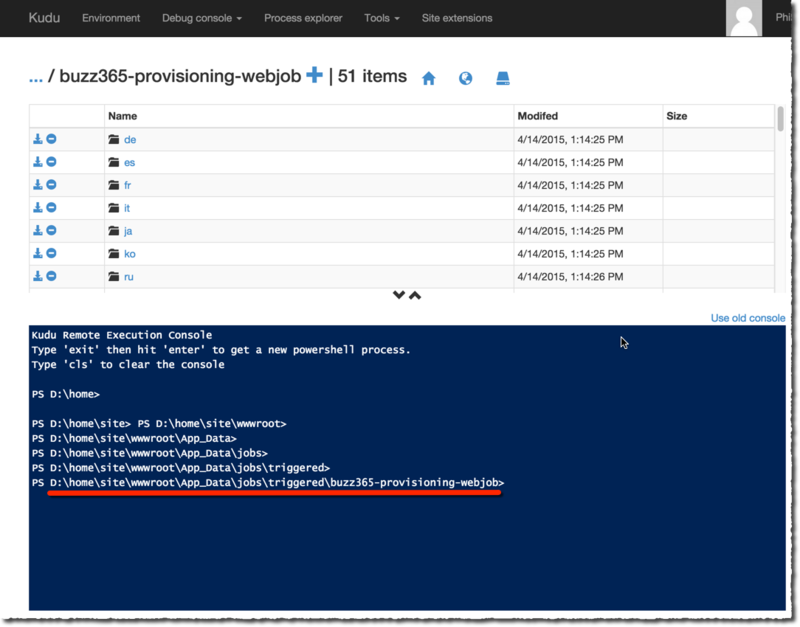 So you’ve already published your shiny Webjob to Azure either using Visual Studio 2013 publishing awesome-ness or ‘manually’ using the Azure management portal, and now you want to update it. 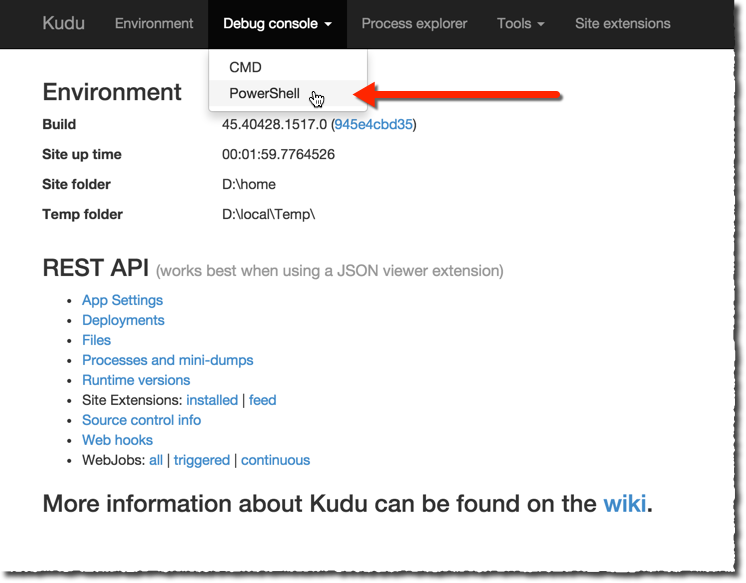 There’s a super-easy way and thats using the Kudu console. and navigate to the folder location of your Webjob, note that you must navigate to its persistent location rather than the transient one used when an instance of your webjob executes. 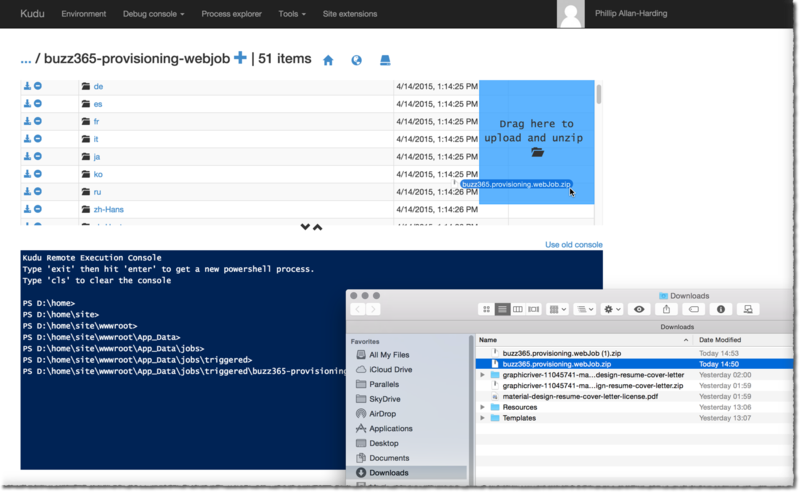 So, first step is to build your Webjob and zip-up all of the required files from your projects ./bin/[debug/release] folder. Once dropped, Kudu unzips the .ZIP file into the Webjob location….